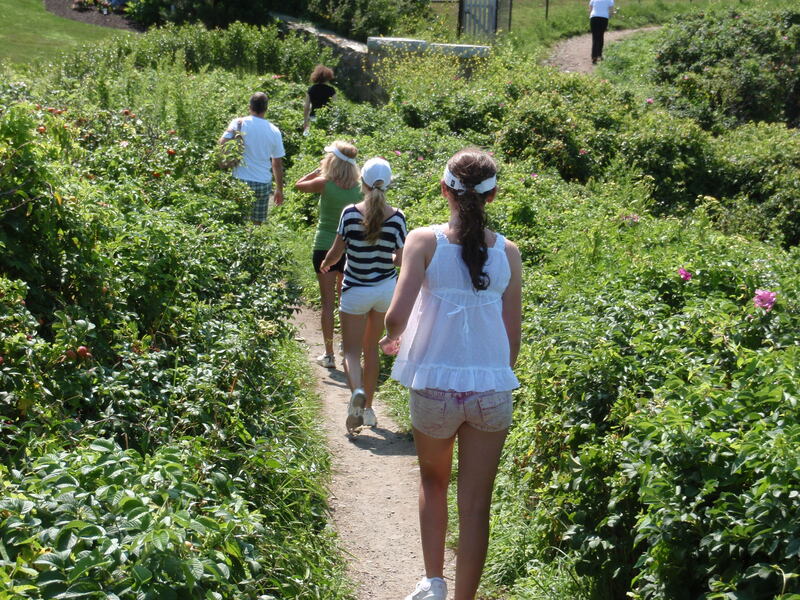 My Family Vacation in Newport Rhode Island! 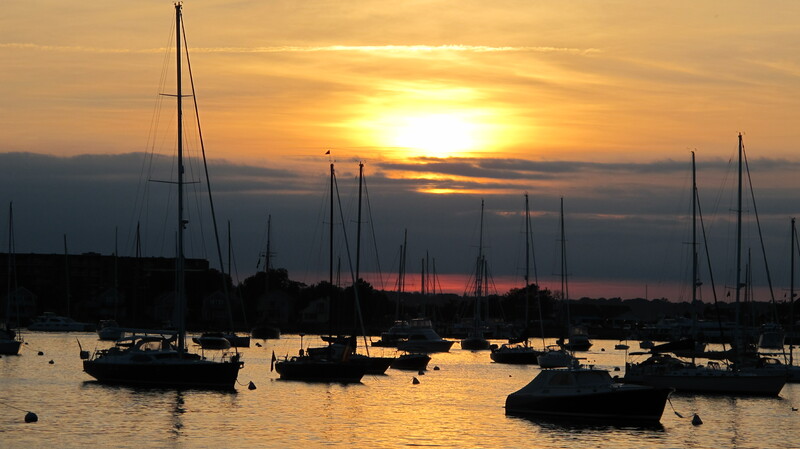 Mario, Avery and I all went to Newport Rhode Island for a week-long family vacation recently. I had never been to Newport before and didn’t know what to expect. Upon arriving we were all staggered by the remarkable beauty and rich history of the town! We joined my great friend and her family on her 150ft yacht for our 6 day trip. We were docked at 41N, which has a great hotel and restaurants inside and out. The outside restaurant played fabulous music and had an incredible almost life-size chess set which Avery and Mario enjoyed. Mario and Avery playing Chess. Look at the size of the pieces!! The best experience for us was doing the Cliff Walk. In fact it was so much fun we did it twice! We would start out on the very top by the ocean and huge cliffs, which was actually similar to hiking in Aspen. The views were so spectacular and so were the homes!! View from the cliff walk. 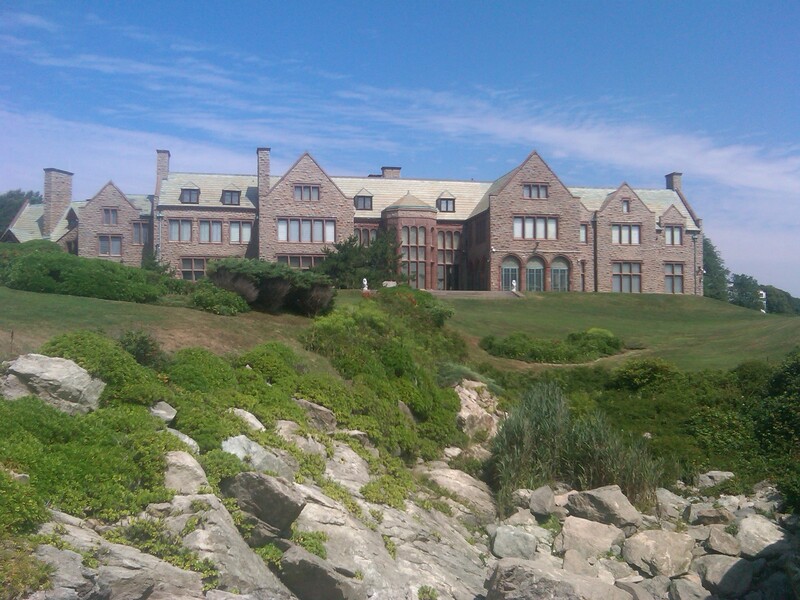 We had the opportunity to tour a local landmark – The breathtaking Breaker’s Mansion. Would you believe i was still furnished in the same manner as the 1800’s when the Vanderbilt family resided there? I have never seen such opulence and decor. The house was larger than life with gilding and rooms upon rooms. Personally I would have been nervous to ever sit on a chair if I lived there!! 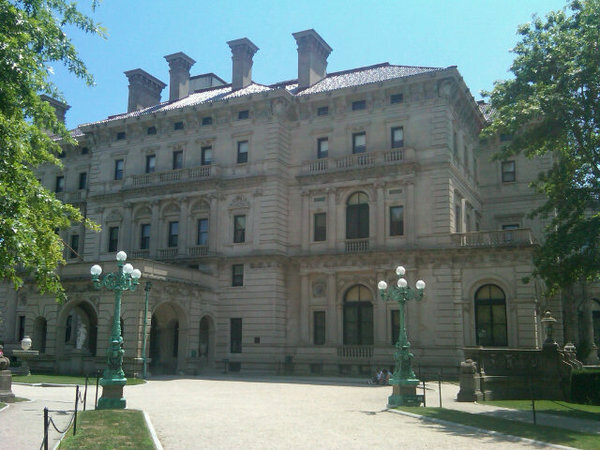 Breakers Mansion - The most majestic home of all! We also got the chance to play tennis twice at the Tennis Hall of Fame. They have beautiful grass courts. Mario and I played against Avery and a pro which was so much fun and so different from playing on clay. Heading to play tennis of grass courts. Me on the top deck by hot tub - Needed after tennis!! 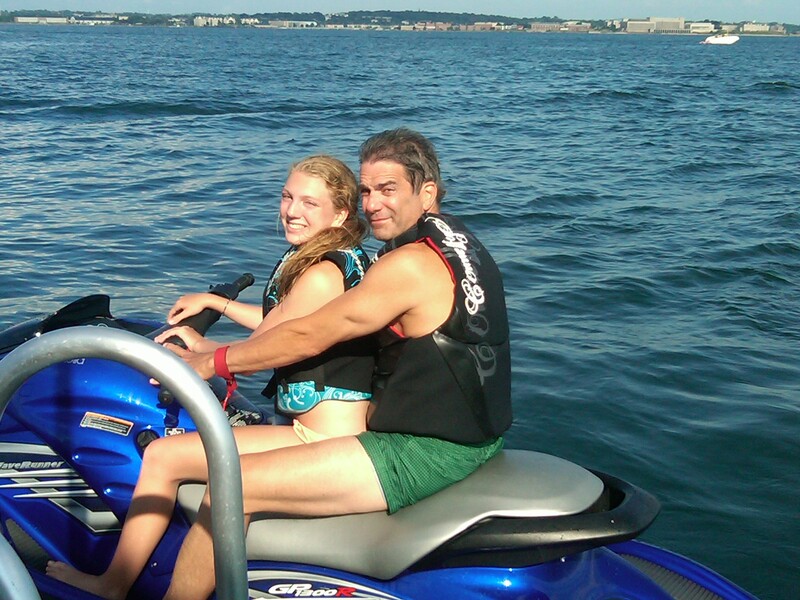 We really enjoyed being on the water. 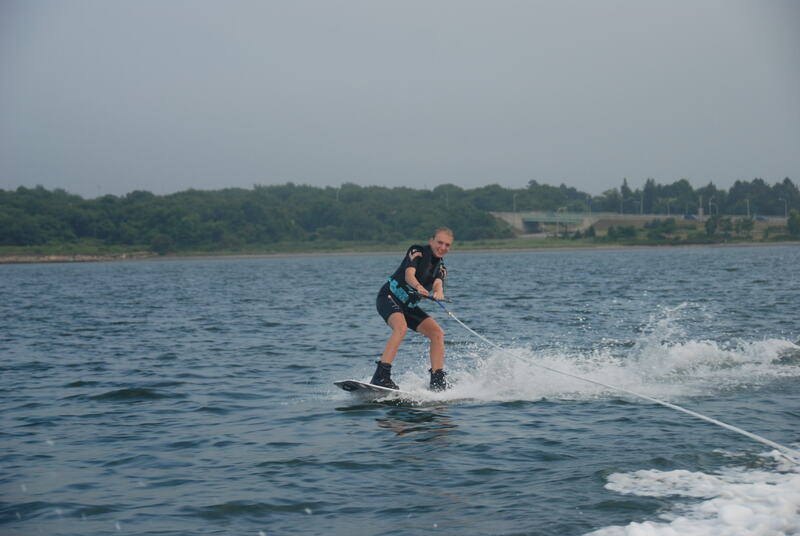 Avery would water ski and do wave boarding and we all went jet skiing. We would take the boat out for short day trips as the water was rough and even though one day it rained we still had the time of our lives! 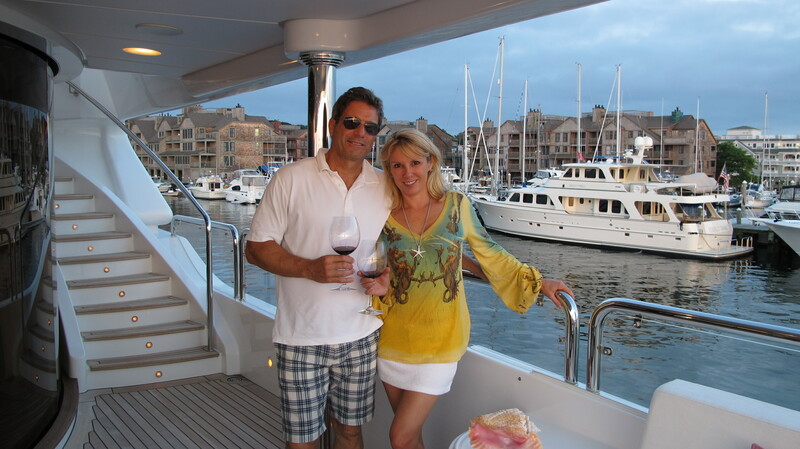 Hanging out on the 3rd upper deck of the yacht. Oh and did I mention the food on the yacht?!! The food the chef would prepare for us was so amazing that we only dined out twice locally! But we enjoyed our visits to the town because everyone was so nice and the stores and restaurants were all fabulous. Mario and I enjoying the evening on the boat. There’s nothing like eating el fresco and watching the sunset with family and great friends. It was really one of our best vacations ever!! p.s. – I will be posting many more pics from my trip and other summer events to my Facebook Fan page in the upcoming weeks. Become a member so you can view them! !